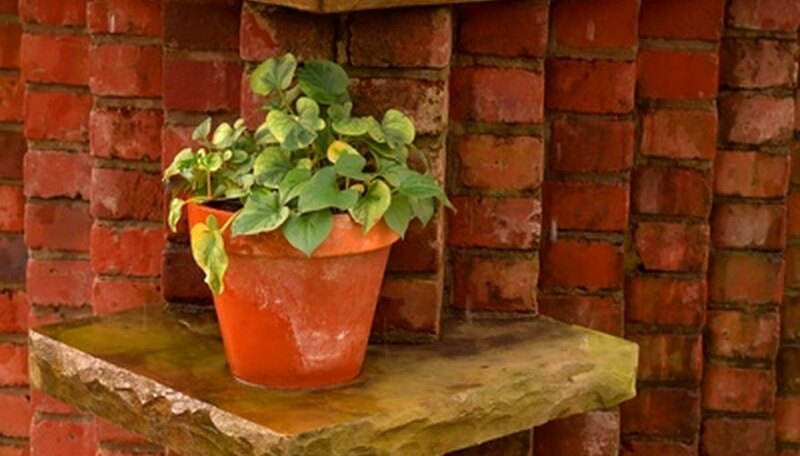 Keeping plants in pots that only contain natural soil can sometimes cause problems with roots, which need access to air, water and nutrients. Draining too quickly can starve soil of water. Soils that drain too slowly may not give the plant roots adequate access to air in the soil. Horticultural vermiculite can help solve these problems in potted plants. The properties of vermiculite were known as far back as 1824 through the experiments of Thomas Webb in Massachusetts. He gave it the name "vermiculite" after the long strands in the mineral that look like worms. The first commercial vermiculite mine in the United States was opened in Colorado in 1915 but failed because of lack of demand. The first successful U.S. mine was the Zonolite Mine in Libby, Montana, but it was closed in 1990 and found to be responsible for illnesses and deaths from asbestos-contaminated vermiculite. Vermiculite is made up of a number of naturally laminated hydrated magnesium-aluminum-iron silicates. In its natural form, it looks very much like mica. Its structure is composed of layered plates that are hinged, which turns out to be key in the manufacture of horticultural-type vermiculite. To make horticultural-grade vermiculite, small pieces of the natural rock are heated to very high temperatures. The water in the stone turns to steam, causing the flat, layered stone to expand to the light, airy horticultural product. The hinged layers allow the vermiculite to expand like an accordion without collapsing back onto itself. Although it has no inherent nutritional value to plants, horticultural vermiculite's light, airy texture holds water, external nutrients and air. By holding these components, they have more time to be absorbed through the roots. Over time, however, vermiculite can compact, reducing its ability to perform these functions. It may be necessary to replenish vermiculite levels periodically. Although the Libby mine had problems with asbestos contamination in the past, current commercial mining of vermiculite in the United States is all in mines with no known asbestos content. Home use of horticultural vermiculite is safe, according to a 2000 report by the United States Environmental Protection Agency, and poses little or no risk of asbestos exposure.